IRCC proposes to change the ‘nature of work' and refocus on skills targeted by Express Entry. It is largely successful in meeting its goals, but needs improvements in the future. At the 2018 Canadian Immigration Summit, Patrick McEvenue, Director of Express Entry and Digital Policy in IRCC, gave the information regarding undertaking an evaluation of EE soon by the department. It will lead to better understanding of the impact, knowing its strengths, and discovering the areas which need improvement. He said that the system is successful in meeting the expectations of the government. It has widely attracted candidates having top skills, good education, language proficiency and work experience, which are greatly necessary for attaining success in Canada. Express Entry attracts the core group very well. The aspirants are people who have a traditional technology background. Presently there are three times more candidates possessing the STEM background in the pool. The Director was also dealing with the improvements like taking an application processing time of six months. The other areas in the focus are the transparency of the system, and better links between PNPs and Express Entry. He remarked that the Express Entry pool is in good health, and shows a pattern of growth. On May 24, 2018, it had 83,111 candidates. The candidates obtain a score that is based on human capital factors like age, education, proficiency in language, and work experience. There are additional points for obtaining a provincial nomination, or a Canadian job offer, and for studies in Canada, proficiency in French, and for having a sibling residing in Canada. Such Candidates, who get a rank above a minimum cut-off score which is decided by the government get the ITA for PR in Canada. Draws are held primarily every two weeks for this activity. There is a wide range of professionals to select from. Moreover, there is lot of talent in the people who are below the cut-off scores. In the scenario, where large immigration targets exist, it is helpful for IRCC, to go deep into the pool. Canada has put up a target to greet nearly one million people, in the next three years, by using the Yearly Levels immigration plan, introduced in November 2017. Each year there will be an increase in admissions for Canadian economic immigration programs. It will have 20 percent increase in the three categories of Express Entry — the CEC, the FSWC, and the FSTC. These profoundly high admission targets will result in huge draws, and have the effect of low minimum scores in the draws. Considering the increased targets, the changes of the system in future, will increase the chances of success of diverse candidates. A major focus of evaluation, of the upcoming Express Entry, will be the changing nature of work. This will help to frame CRS and also to target different skills. Presently the CRS is working brilliantly. It is based on the evidence available, but one has to study, whether similar things will work in the future also. Also this evaluation, will focus on which category of persons, are presently succeeding under the system. It will try to know the ways in which the system can work better, for such people who presently cannot take benefit from it, but have the capacity to reach Canada. There will also be an insight on the ways the system can engage with Canadian employers, and cater to their labor needs. 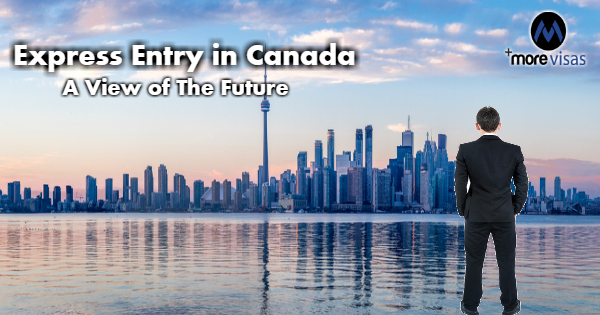 McEvenue continued to say, that the future will involve detailed thought on the role which the Express Entry has to play in it. The EE system should also be meaningful to the broader community and help in guiding the present, as well as the future governments. The system will immensely benefit and also learn from data and go for improvement. The proposed changes will surely benefit some candidates who are yet to find success through it.